Preparing the baby’s room is so exciting! And the Madison Crib offers everything you’re searching for – style, safety, and smart Grow With Me convertible options. Crib includes a Headboard, Footboard, 2 Sides and a Metal Mattress Support Frame with 3 Mattress Height Positions. Use the lowest position for newborns, the middle position when your baby can sit up, and the lowest when your baby starts to stand up. 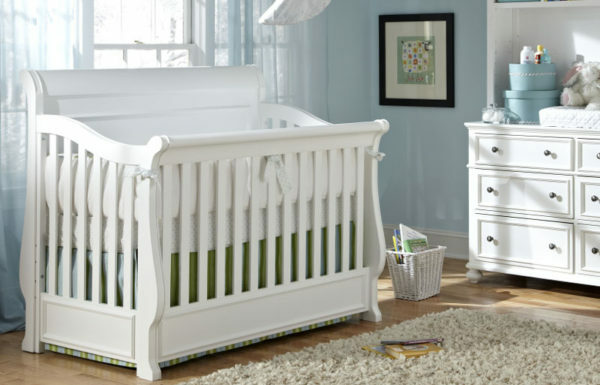 This crib can convert to a Stage 2 Toddler Bed / Stage 3 Preschool Daybed with the optional Toddler Daybed and Guard Rail kit. This crib also can convert to a Stage 4 Full size bed with optional Converter Bed Rails and Converter Slat Roll.